Some words in the press are used not only for purposes of shorthand but also as Pavlovian bells to get the ideological saliva running. They have only to be printed or uttered for thought to cease, and since thought is often painful and poses the danger of arriving at unwanted conclusions, such words offer protection against such pain and discomfort. Among them, for certain people, especially in Europe, are poverty, liberalism and austerity (the list is far from exhaustive). The connotation of poverty is that of Dr. Johnson's definition: the want of necessities. And no one will be found to defend hunger, lack of shelter from the elements, or nakedness. But the denotation of poverty nowadays is not the same as its connotation. Almost always, the denotation of poverty nowadays is the possession of an income below 60 percent of the median income, so that what is meant is not so much poverty as inequality. A society in which everyone had a guaranteed six-figure income could thus have a great deal of "poverty," and an incomparably poorer country could have much less poverty, in the technical sense of the word. In recessions, poverty of this sort decreases not because anyone is richer-quite the contrary: because the higher incomes decline, while (at least where there is Social Security) the lowest do not. But no one is materially better off as a result. Of course, this leaves quite untouched the question as to whether equality of outcome is desirable, which is a separate issue. Liberalism (or neo-liberalism, or ultra-liberalism) in the French and British press means laissez-faire economics. Its connotation is that of a dog-eat-dog society in which-to change metaphorical horses midstream-the devil takes the hindmost. In the French press, Britain is an ultra-liberal society, and all Britain's manifold shortcomings are due to letting markets rule the society that, as Margaret Thatcher is supposed to have believed, does not really exist anyway. The word "liberalism" is used over and over again, despite the facts that more than 90 percent of British education and health care is state organized, that the nation's housing market is highly regulated, and that there are many other markets into which entry is made difficult or practically impossible by government regulation. Again, the misnomer leaves untouched the question of how much regulation is desirable (and what ends are themselves desirable is a matter of contention); but it is as accurate to call Britain a liberal polity as to call North Korea a libertarian one. "Corporatist" comes nearer the truth, though no single word can capture so complex a reality. Finally, austerity. This word in Europe is now used to denote attempts by governments to align more closely (not absolutely) their expenses with their incomes. It would be as accurate to call a rich miser profligate with his money if he buys a loaf of bread. Again, using the right terminology would not settle the question of whether attempts to balance the government budget are economically wise or foolish, but a proper discussion can hardly begin while spending only 3 or 4 percent more than one's income rather than, say, 8 or 10 percent, is regarded as some kind of sadomasochistic or penitential asceticism. All terminology is flawed, no doubt, but some terms are more flawed than others-and some amount to full-blown and highly motivated lies. 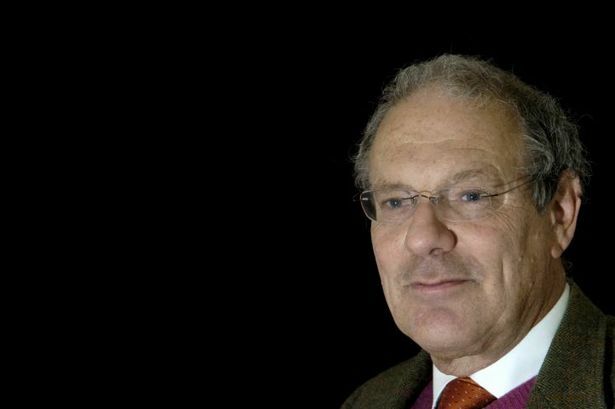 Theodore Dalrymple is a contributing editor of City Journal, where this first appeared, the Dietrich Weismann Fellow at the Manhattan Institute, and the author of many books, including Not with a Bang but a Whimper: The Politics and Culture of Decline.